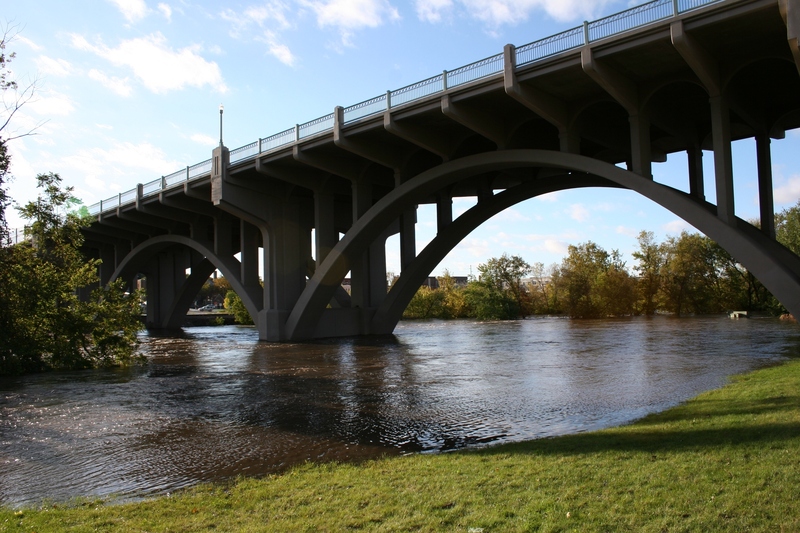 Under the viaduct, in an area that is typically dry land, the Straight River has spilled outside its banks. THE ANGRY RIVER DRAWS me, as close as I dare walk to the raging waters. I cannot stay away. For the third time in 24 hours, I have moved in close, taken photos, captured in digital format this history, this flooding of Faribault that I am witnessing. I am not alone. Residents, young and old, are drawn to the water. Dads bring their children, clasp their hands tightly, keeping them safe from the muddy, churning waters. An old man hobbles to the edge of the Straight River under the viaduct, lifts his cane and points. Others flip open their cell phones, snap images. 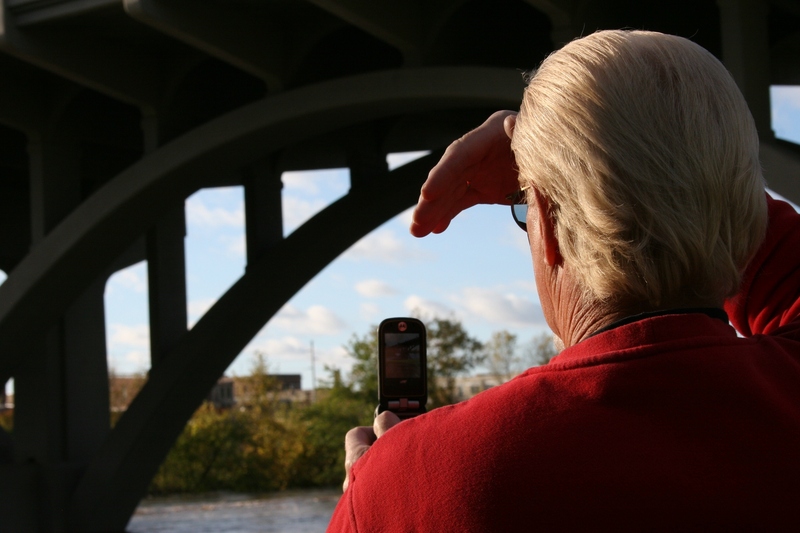 A man snaps a photo with his cell phone of the floodwaters under the viaduct. 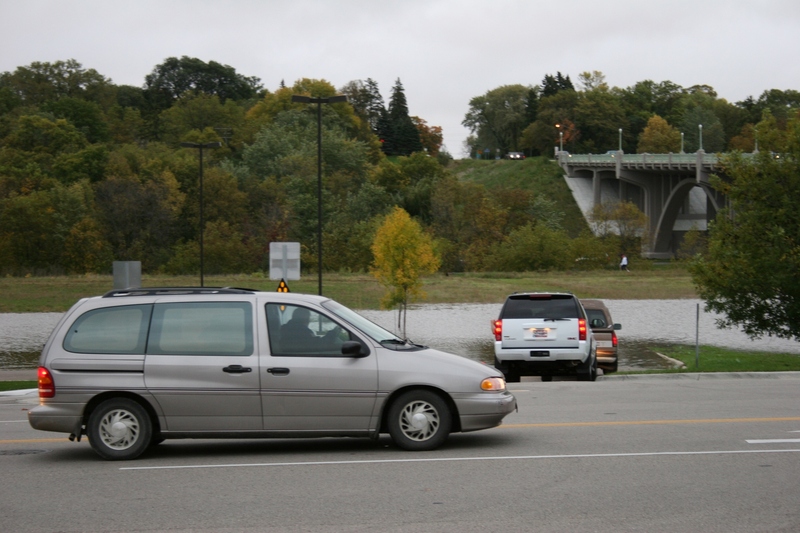 The Straight River runs through TeePee Tonka Park, a low-lying area prone to flooding. 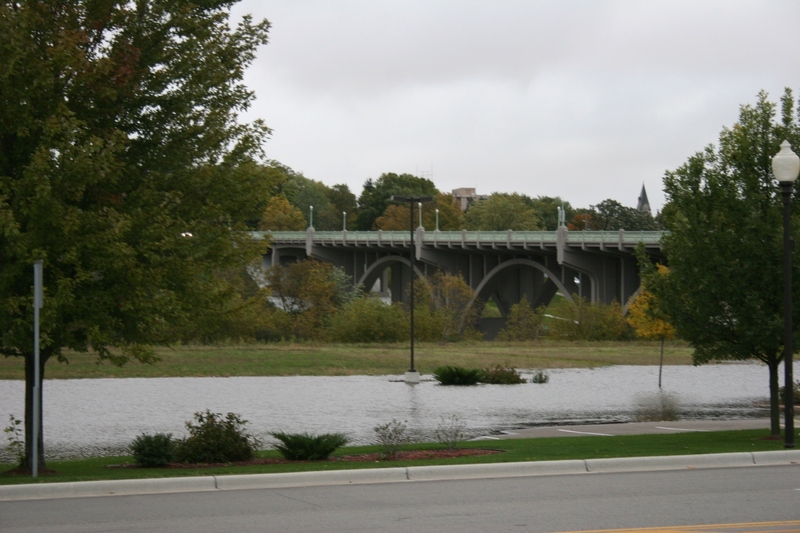 Here water covers the WPA bridge leading into the park. As the sun begins to slide in the sky, glaring across the water’s surface, I take photos. I climb the hill and stairs to the viaduct, intending to shoot a bird’s eye view of the flooded river far below. But, because I am afraid of heights, I cannot force myself to walk onto the bridge and I turn around. A few blocks away, I slip past the barriers barricading Ravine Street near Faribault Dairy on the banks of the Straight River. 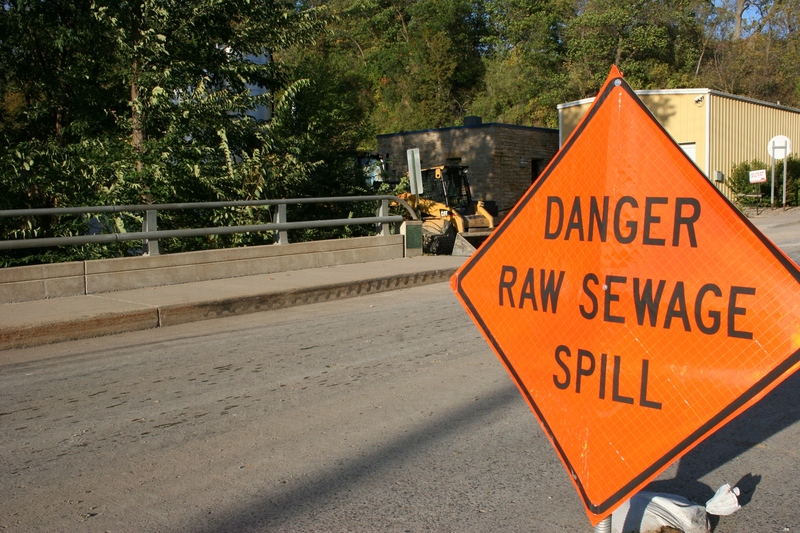 I walk past the bright orange sign that warns DANGER RAW SEWAGE SPILL. A warning sign on closed Ravine Street near Faribault Dairy. 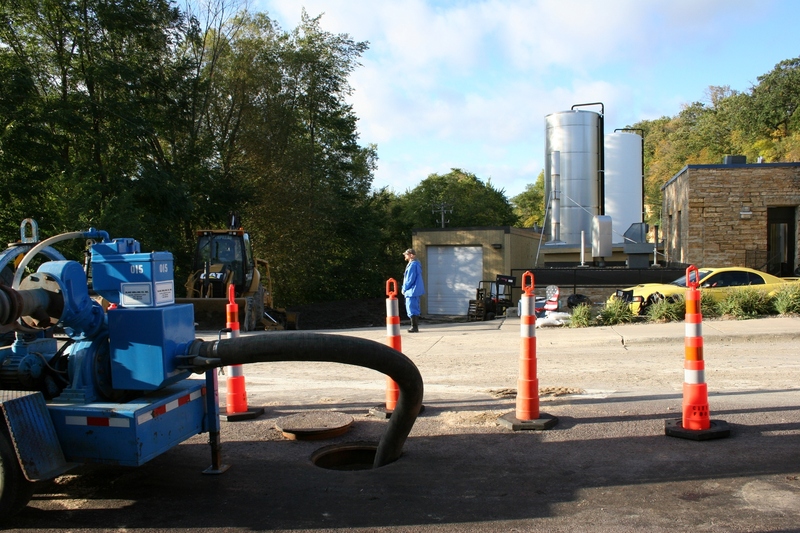 A company employee outfitted in blue and wearing knee high waders guards the entry to the cheese plant. I figure he might give me some information. But he says only, “Everything’s secure and under control. That’s all I can tell you.” He suggests I check a Web site and then says I need to move back, on the other side of the sidewalk line that separates public property from private. My toes are only inches across the line, but he has his orders and I respect those. An employee guards the entry to Faribault Dairy, which makes my favorite blue cheese, among other cheeses. Near the wastewater treatment plant, I cannot believe how much the Straight River has risen in 24 hours. Water now skims the bottom of the bridge. The plant is nearly submerged. 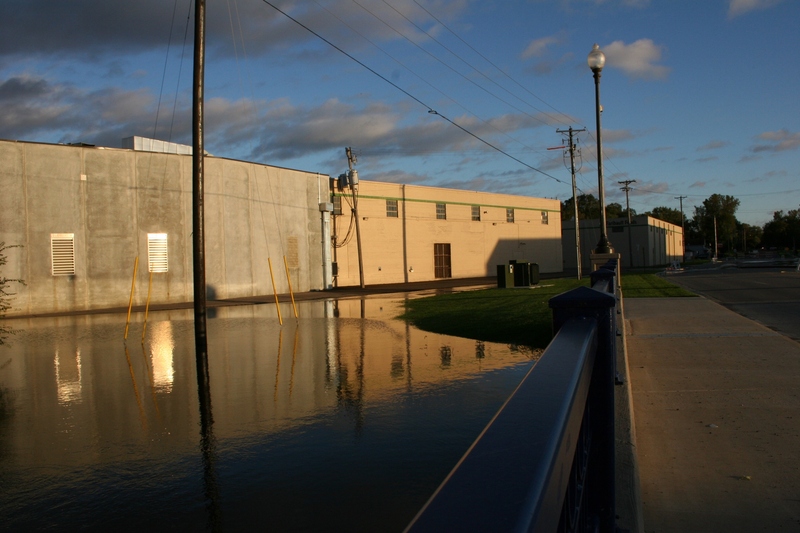 Water has flooded into the wastewater treatment plant along the Straight River. 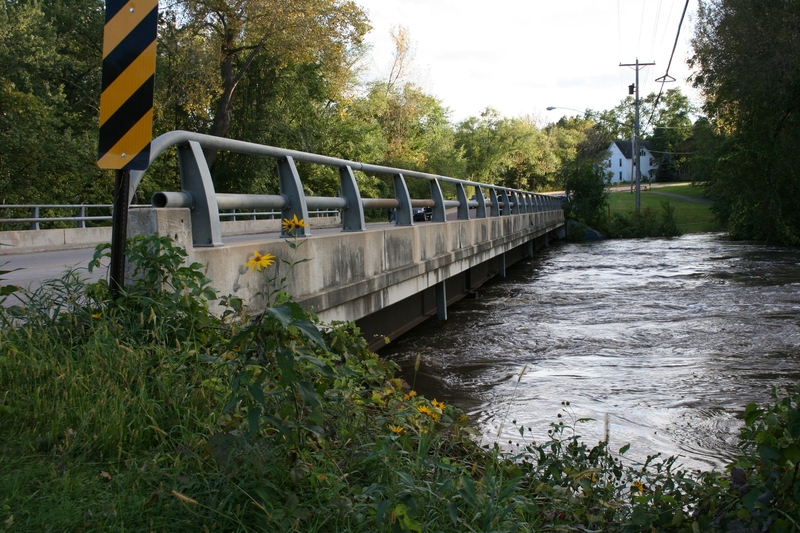 Water skims the bottom of the bridge across the Straight River on 14th St. N.E. by the wastewater treatment plant. There I meet a young man who tells me that his sister was getting ready to move into the home she purchased about a year ago right next to the viaduct. She’s been redoing the house. But the Straight River overflowed, flooded the basement with three feet and seven inches of water, he says. 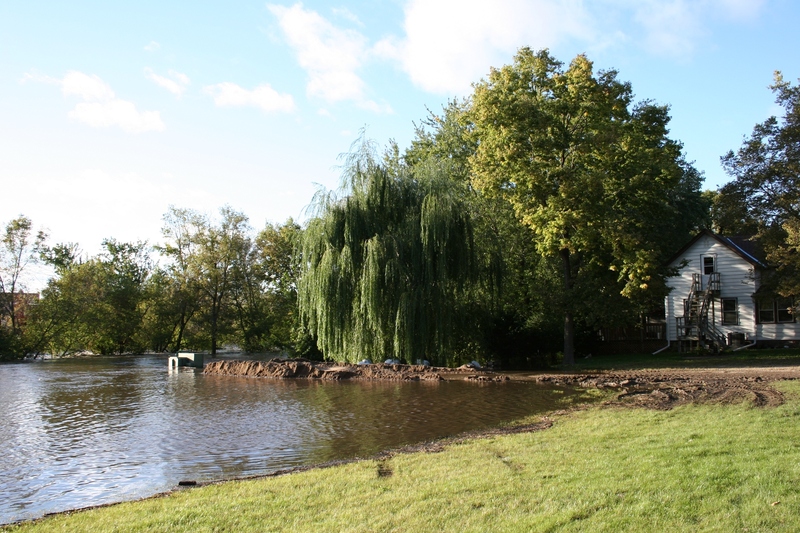 With three sump pumps working, the water has now receded to 27 inches. The basement of this house near the Straight River by the viaduct was flooded with 43 inches of water. 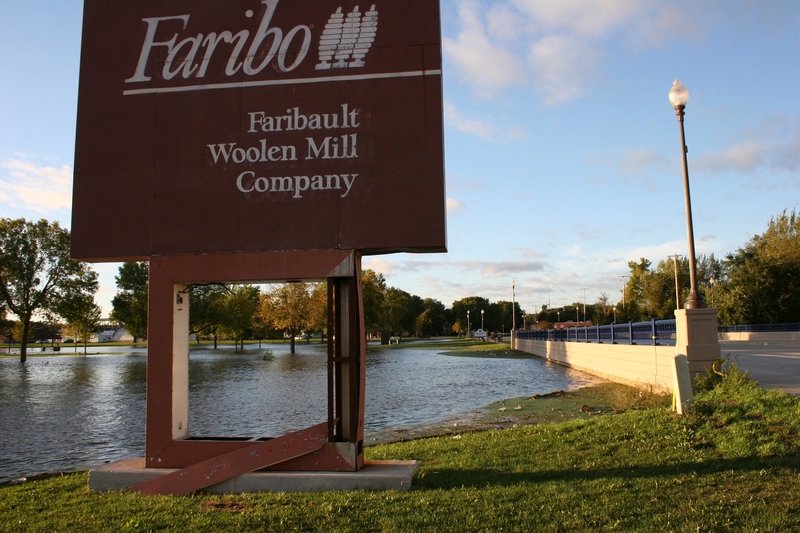 By the Faribo Woolen Mill, I duck under yellow police tape to view the flooding of the Cannon River. As I walk onto the Second Avenue N.W. bridge—the road is closed—I wonder for a moment if this bridge could be swept away like the one in Oronoco. The water is that fast, that scary. Then, as I leave, a cop car arrives and I think that I’ve left just in time. I know I should not have crossed the yellow tape. But, like all the others who have come to see this moment in history, I cannot stay away. 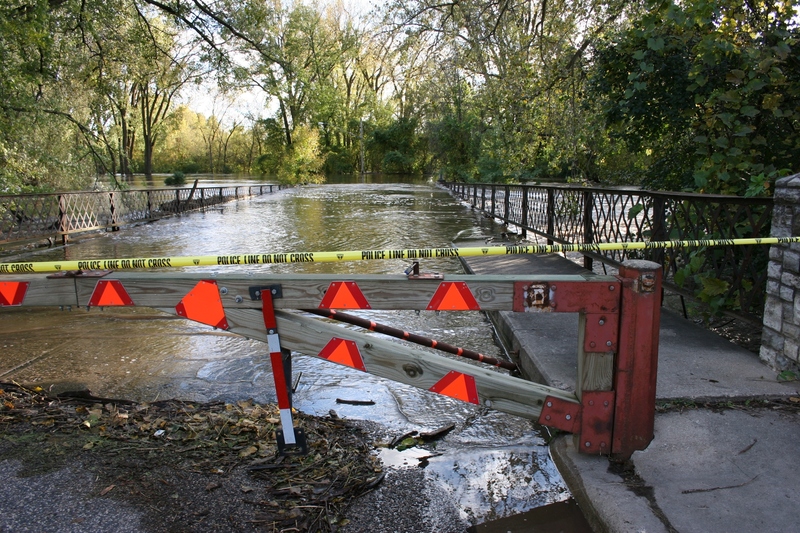 The Cannon River has risen to bridge level on Second Avenue N.W. by the Woolen Mill Dam. 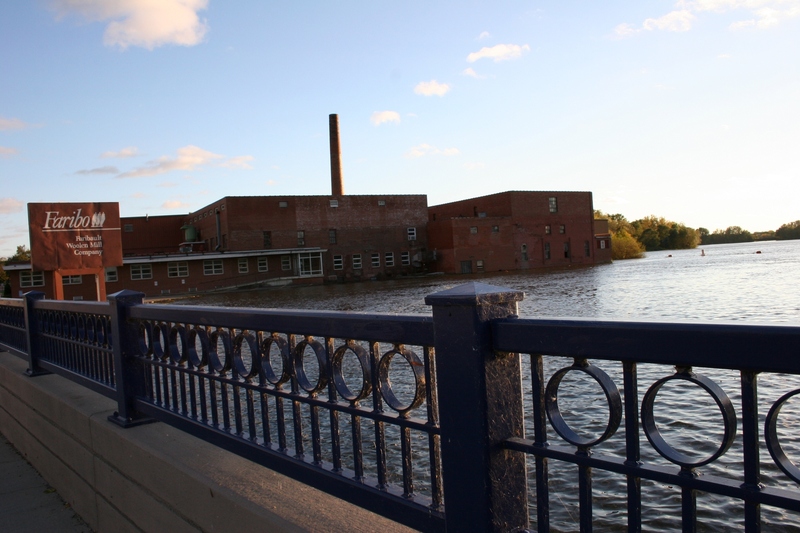 The Cannon River has risen perhaps 15 feet next to the former Faribo Woolen Mill building, which snuggles against the river by the dam. 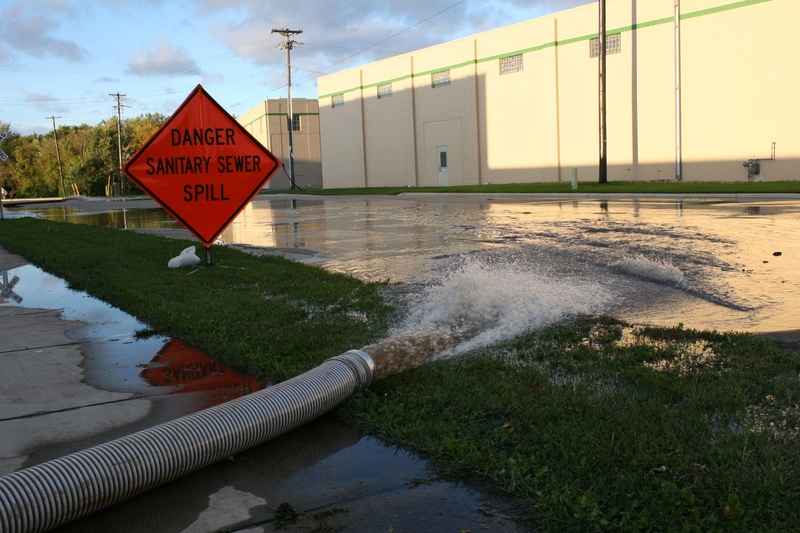 Water covers portions of Second Avenue N.W. and land by Faribault Foods. A scene on Second Avenue N.W. near Faribault Foods. These photos were taken between 5:30 – 6:45 p.m. Friday evening. BASED ON THE VOLUME of traffic passing by my home along one of Faribault’s primary streets, I’d guess that locals are not heeding the advice of city officials to “stay home” while our community is dealing with floodwaters. 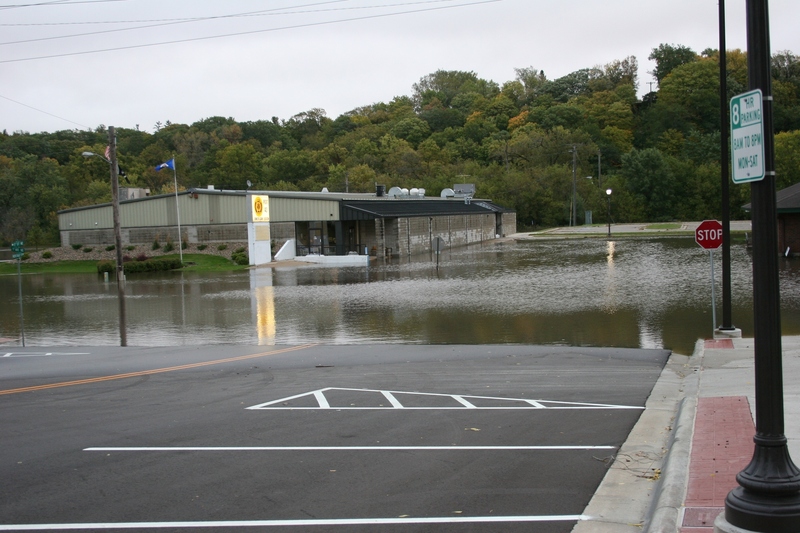 “The City of Faribault asks all residents to stay at home and please refrain from using City water until further notice. Thank you for your cooperation,” reads an Emergency Alert posted on the city Web site. Believe me, I’ve been tempted, too, to ignore that directive and tour the flooded areas. Again. Twice now I’ve surveyed the town. When my friend Deb called late this morning to invite me on a ride-along, I declined, but not without reservations. I needed to finish a writing project before deadline and I had already been out once today snapping photos. So, now, as I write, endless vehicles rush by my house at the rate of our typical morning and evening “rush hour,” which, I’m certain to metro dwellers, would not classify as a “rush hour.” But I can definitely tell more motorists are out and about than usual. As for conserving water, I’m not washing clothes today, as I typically do on Friday. I’ve also refrained from flushing the toilet after each use. Drink and flush. I’m good to go as long as I don’t go…and tour the flooded areas of town. 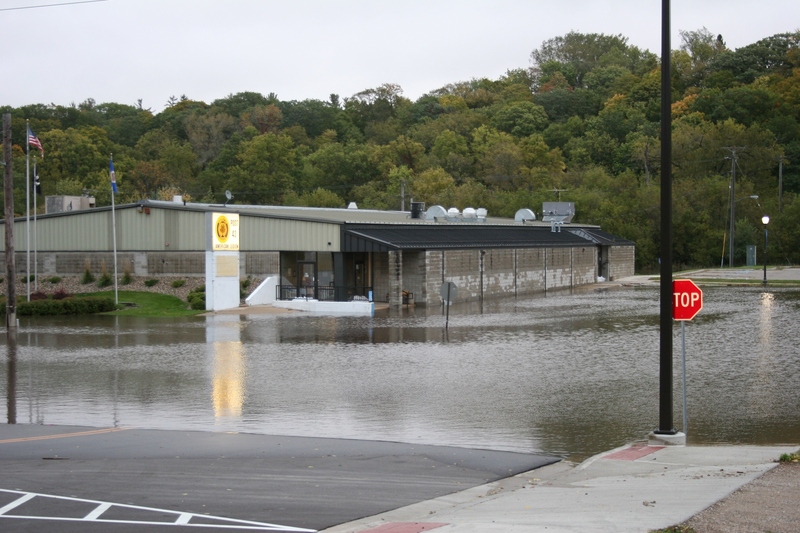 The American Legion and Heritage Place businesses, a block from downtown, are surrounded by flood waters. 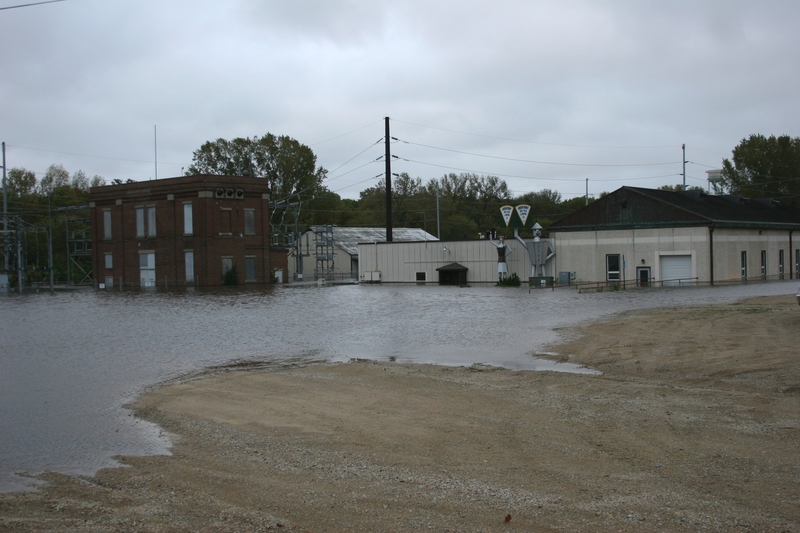 WE ARE IN TO DAY TWO OF FLOODING here in Faribault, where an emergency was declared last evening by Mayor John Jasinski. The Cannon and Straight rivers have overflowed their banks in areas. Crews have been sandbagging some homes and businesses. Several streets are closed, including a portion of Second Avenue N.W. where the road crosses the Cannon River. This is a main arterial route through the city. An electrical substation is flooded. 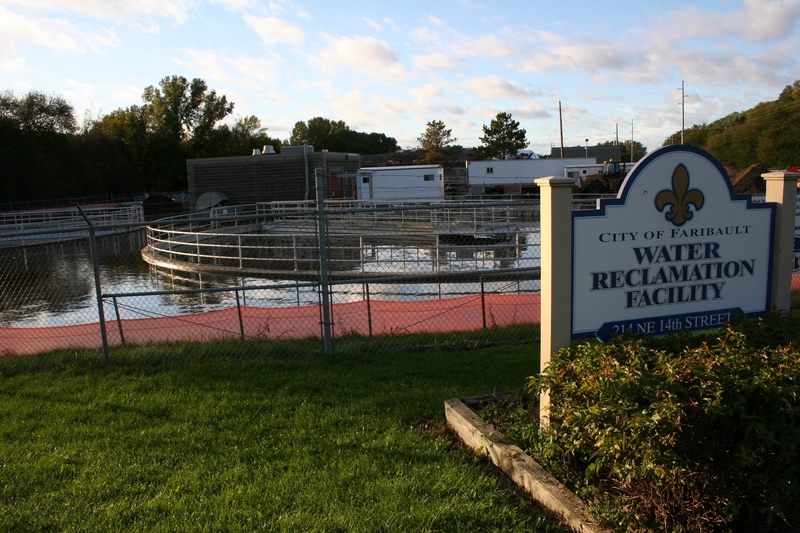 The wastewater treatment plant is threatened. We’ve been instructed to limit water usage and to avoid unnecessary travel around town. In the 28 years I’ve lived in the Faribault area, I have never seen the rivers this high. Except for a two-hour power outage this morning, my family remains unaffected. Our home lies several blocks from the Straight River, but we have no reason to worry. Here are some photos I shot shortly after 7 this morning. 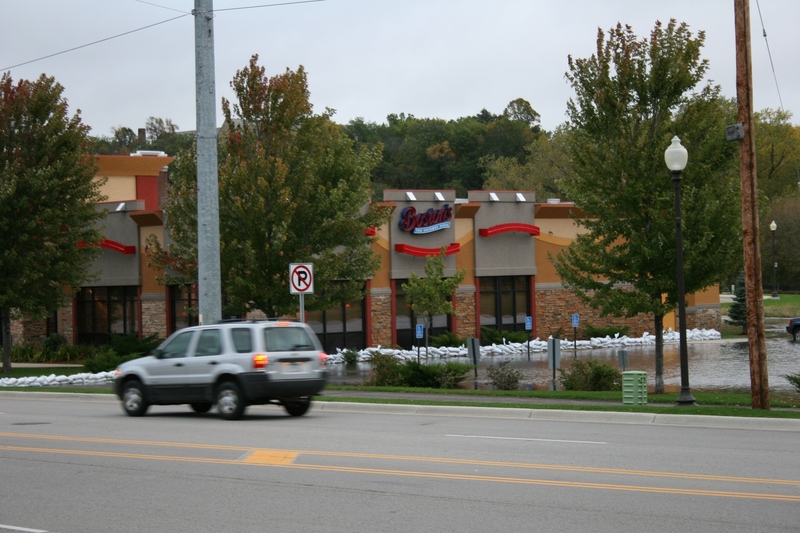 Crews have sandbagged Boston's Restaurant along Minnesota Highway 60. The parking lot is under water. 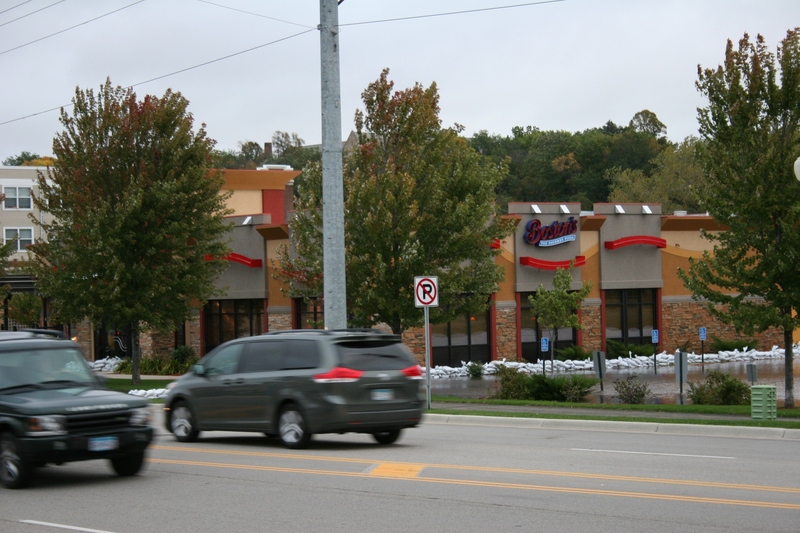 Another image of Boston's, a popular Faribault restaurant near the Straight River. Motorists pulled off Minnesota Highway 60 near the viaduct to photograph floodwaters and Boston's. Water pooled in a low area near the viaduct and into Boston's parking lot. 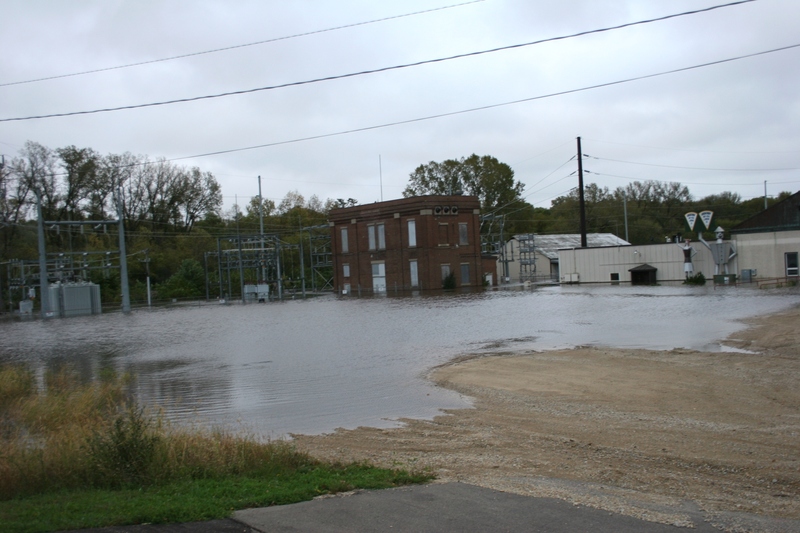 An electrical substation and Lockerby Sheet Metal near the Straight River are surrounded by floodwaters. Just another shot of the flooding around Lockerby. Heritage Place businesses are surrounded by water. 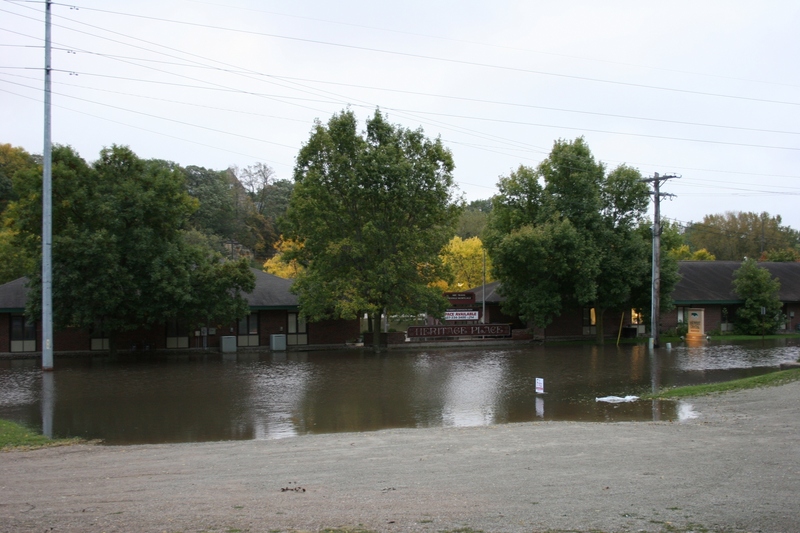 Flooding at the American Legion, which sits at the bottom of a hill and not far from the Straight River. 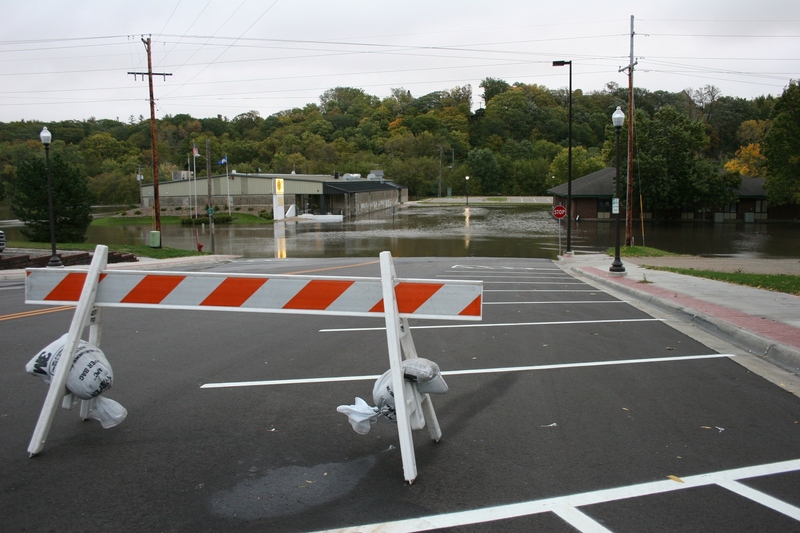 Numerous roads around Faribault are closed like this one by the Legion.